Rockefeller Center. I took this picture at Christmas when I was in New York City. 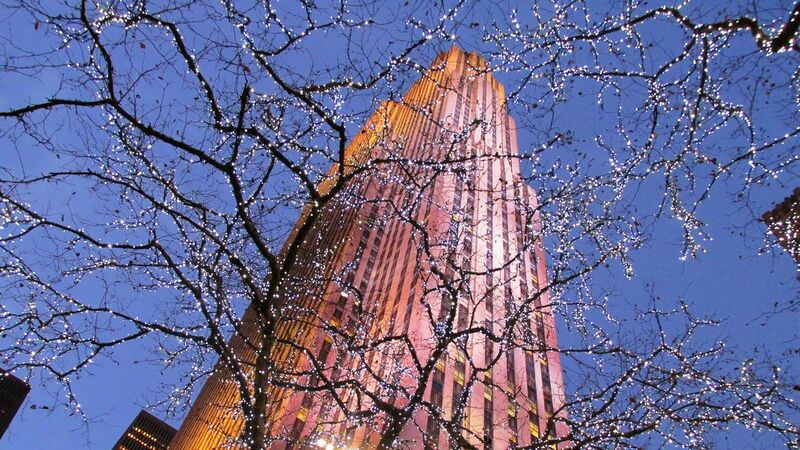 The Rockefeller Center looked fantastic and I took this picture under a tree decorated with many light bulbs. Date Uploaded: Aug. 23, 2015, 9:45 p.m.